A dazzling selection of jewellery, Cheshire Cat Gallery has amazing designs that borrow from both Victorian sensibilities and Indian ethnic patterns. Skip the route of getting traditional souveniers, and take some beautiful accessories for your family and friends back home. A studio located in a secluded inland village far away from the bustle of mainstream tourism, the Cheshire Cat Gallery has designs that showcase strong individuality while demonstrating bold style. 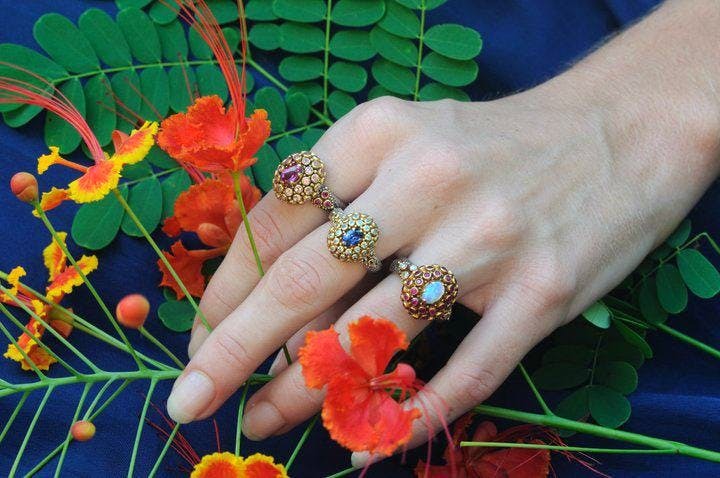 Handcrafted exquisite jewellery by designers Van Andel and Peace, keep your eye on in-depth colour and textures that appeal to your personal style quotient.